There are 39 reviews of Pulp. Quick wave of fruit on top. Fast moving notes of wood. Dry. Cool. Eventually I smell apple and nutty praline. I could sit and sniff the base of this all day. Let me preface this by saying that I adore apple fragrances. My preferred summer scent is See by Chloé mostly because the apple note in See lasts for hours on my skin, even after the rest of the mix has all but disappeared. Pulp has the same strong apple note as See and has been lingering on me for hours. Pulp's apple is fresher and juicer due to the supporting fruit notes at the top and in its heart (that blackcurrant! *swoon*), but that gorgeous apple...I just can't get enough. The sillage and longevity are top notch which makes this 100% FB-worthy for me (even at Byredo prices...ouch), especially considering that my skin eats most fruity scents for breakfast. EDIT: Over the last few hours, as the scent slowly fades away, Pulp has been exceptionally clean-smelling. I'm not sure if it's just my skin, but it never turns to rotten fruit as others have experienced. If anything, I'm getting a little more green freshness (maybe this is the peach flower note?) and a teeny tiny bit of wood. Man, I can't wait to get a bottle of this. This opens as a vine ripened Sindhri, juicy, sweet and balanced citric. Cardamom and Currant counter with a spicy jammy bouquet. For me there are whispers of a magical Fir Forest in note. Tropical Floral drifts down through it all and proves to a quite sophisticated presentation and sillage. Very finely crafted to show as a semi-gourmand. Byredo pulp, like a beer, a over ripe fruit and beer, hard to explain, not bad, but not like Mmmmm awesome either. It has a fizzy smell to it that lingers above the actual scent, which is a beer that's been sitting there overnight. The The food that you settle with between fast food and gourmet, but tastes pretty good, but not exactly what you were hoping for. That's how I feel about this scent. Byredo Pulp is one of the most hyped fragrances of the line, perhaps it's most-discussed warm weather fragrance, along with, of course, Bal d'Afrique. Said to represent the smell of fresh fruit, my own sampling of it today lends credence to its relatively strong reputation. It does smell like fresh fruit, a nod to both the sweetness and tartness that come from the real thing. That its scent is comprised of several fruits--bergamot, blackcurrant, apple, fig--makes Pulp difficult to pin down, or to limit to being a hyper-sweet, -sour, or -citrus fragrance. Because it is an amalgam of several varying fruits, it's effective at representing many more fruits, perhaps all fruits. Certainly as pointed out by at least one critic I've heard, Pulp's energy diminishes predictably into its dry down, where it becomes a bit less interesting and less bright, at least to me. Still, the blend is excellent in the dry down, when it takes on woody and musky undertones. Its performance is decent for a warm weather EDP, probably above average in projection and longevity, but Byredo pricing is right in the area of "if it doesn't add something unique to your collection, don't bother" at the standard pricing of $150 for 50ml, $230 for 100ml. However, it can be argued more easily for Pulp than for most fruity niche offerings that this does achieve something more unique, more special, and at the same time relatively unisex and easy to wear, though it shines most in the summer. One I'll need to explore further but may eventually add to my collection, maybe next summer. Byredo Pulp Eau de Parfum 2ml Bottle with box New Sprayer! Authentic! Fast Ship! There are no member images of Pulp yet. Why not be the first? 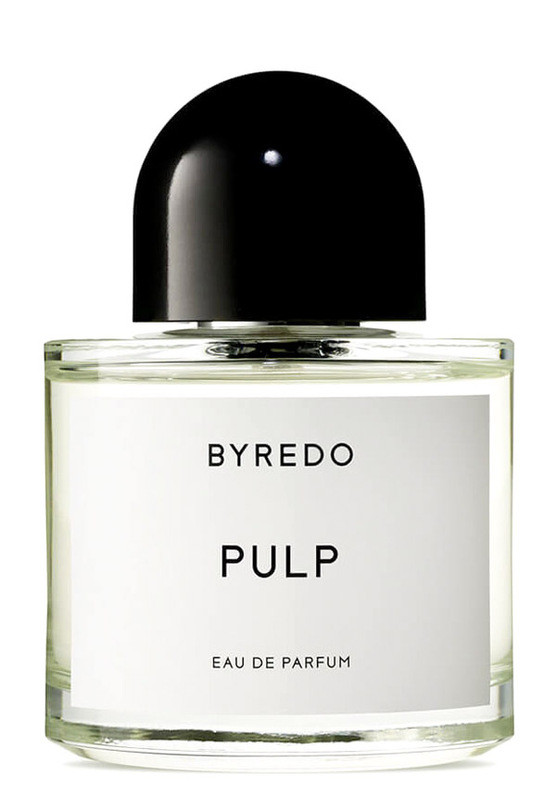 Does Byredo Pulp smell like Diptyques Philosykos to anyone ? If so, is having both two redundant ?